Welcome to the Troop 45 Web site! 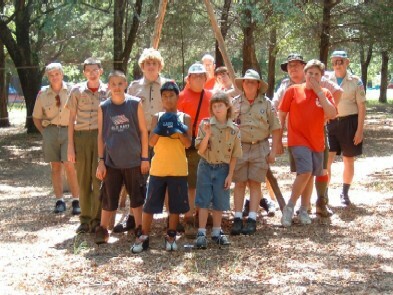 Troop 45 is located in Plano, TX. Come on in and see who we are, what we are interested in, what we've been doing, and how we have fun! Our troop gladly participated in staffing James Ray Boy Scout Ranch for Webelos Woods 2005, talking to the parents and leaders of many different Webelos groups and demonstrating pioneering techniques to the Webelos. Check out our pictures section for more!